Some Area Info: A true microtown in Vermont with an approximate population of only 169. Norton is on the United States and Canada International border line and has a small port of entry for visitors to pass through. Norton has some of the highest moose populations, a scenic drive along Vermont Route 114 and you are bound to see some moose meandering along the roadside. The Chez Pidgeon is a local hotspot serving up food and drinks for your rest stop needs. Attractions and Recreation: A very rural area with 39.6 square miles of land you will find Bill Sladyk Wildlife Management Area with 9,493 acres and within the towns of Holland, Norton, Warners Grant and Warren Gore. This area is open to the public for hunting, fishing hiking and wildlife watching. Norton is also home to the 592 acre Black Turn Brook State Forest, formerly known as Earth People’s Park. Both these preserved areas allow trail walking, cross country skiing, snowshoeing, hunting, and fishing and primitive camping. Norton Pond is a 667 acre lake with some camps along the shores; this lake is a great spot for motor boating, kayaking and fishing. 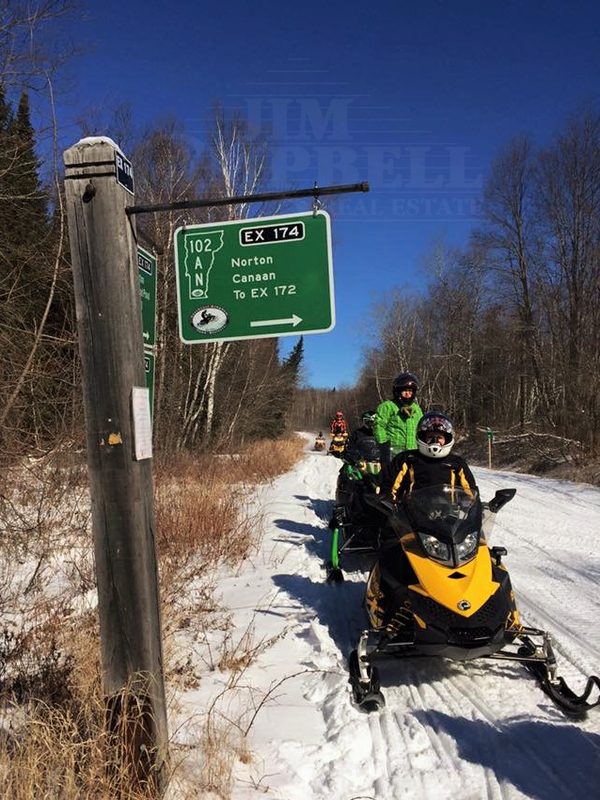 Norton has many miles of the best VAST trails in Vermont. A short distance in neighboring New Hampshire, are the OHRV trail systems for riding ATV’s and UTV’s. Here's an opportunity to own and operate your own store/mini-mart business with a complete 3 bedroom living quarters in the same building. Currently operating and situated right on the border in Norton Vermont. Lots of potential, if you have ideas to create a deli or more. Well established and enjoys a 4-season clientele. Snowmobile capital of the East. Come take a look and bring your creative side to a location with lots of potential. See Addition to Property Information Report for dimensions of living quarter rooms.